Please arrive by 8:30am to check-in and get your gear! All levels below will get you access to gun rentals, ammunition, ear and eye protection, participation in the 50-target Sporting Clays competition and lunch. Please register at the level you'd like to support the NoVA BuildPAC. Join NoVa Build PAC at its inaugural Clay Shooting Fundraiser! 2019 is a critically important year for the building industry; with the entire General Assembly and most local offices up for election, now is the most important time to support NoVa Build PAC so that we can help elect pro-housing candidates this year. 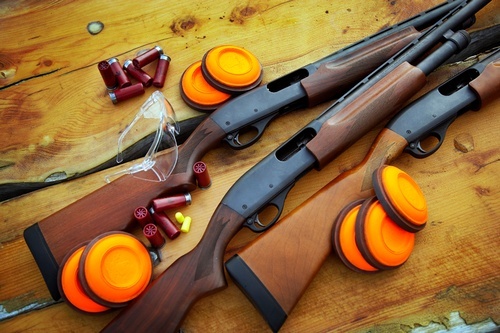 Hosted at the Bull Run Shooting Center, a premiere recreational facility of the Northern Virginia Regional Park Authority, the event will include a 50-target Sporting Clays competition along with ammunition, gun rental, and ear and eye protection. For those inexperienced at the shooting sports, certified instructors will be on hand to teach safe firearm handling and basic clay target shooting. There will be opportunities for networking throughout the day’s events, including lunch served after the shooting is done as well as an awards banquet. The event starts promptly at 9:00am, so we ask that you please be in attendance no later than 8:30am. Upon arrival, please check-in at the picnic pavilion while we await the instructors who will lead us out to the course.